It’s that time again for the box of Christmas Wishes! I had to get these ready now so the recipients can take them home at Thanksgiving (and save me from mailing them later). 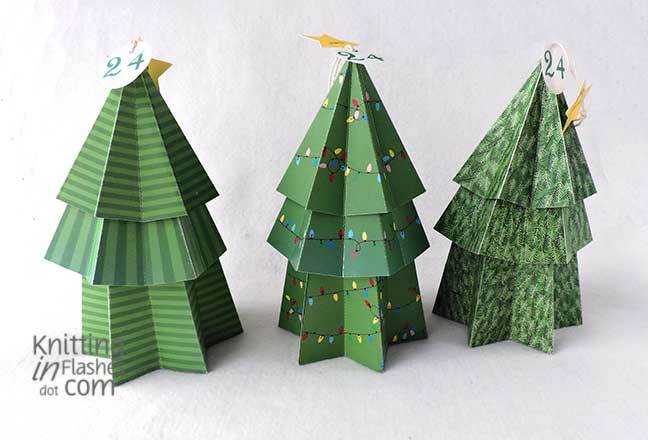 I downloaded these tree box templates from PaperBuiltShop. They are so cute and can hold larger items. 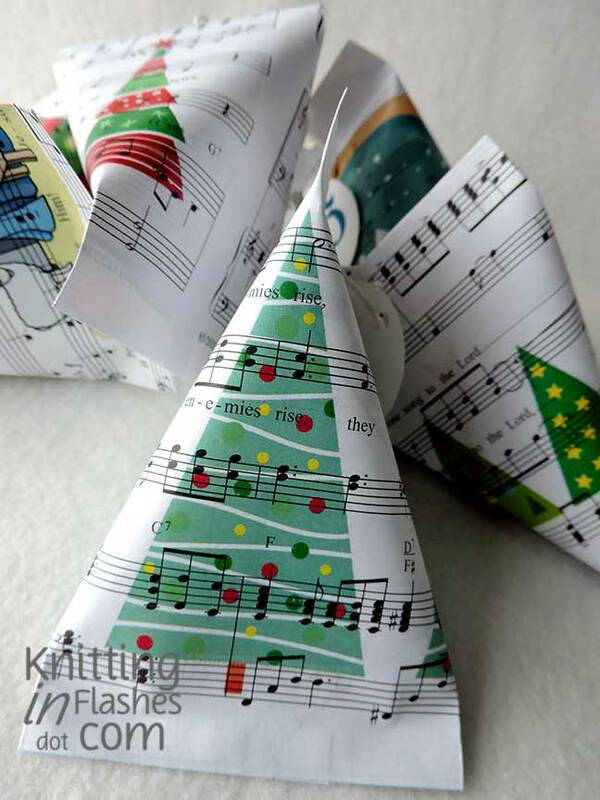 The three tree boxes contain Christmas tree-shaped candy canes similar to these. 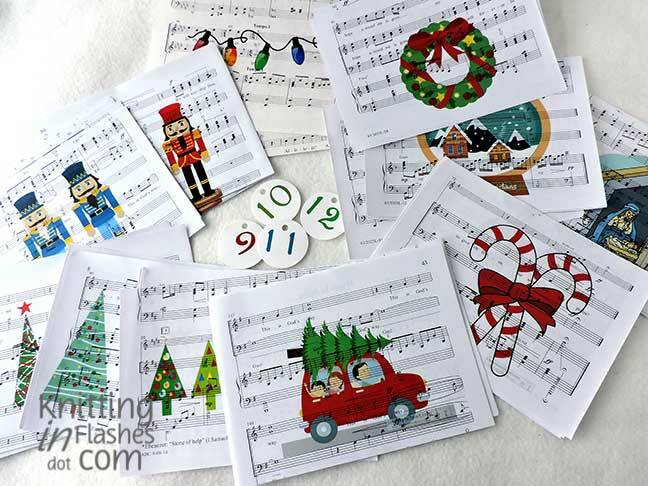 Instead of buying paper for the packets, I used some old music paper which I ran through the printer to add some holiday graphics. 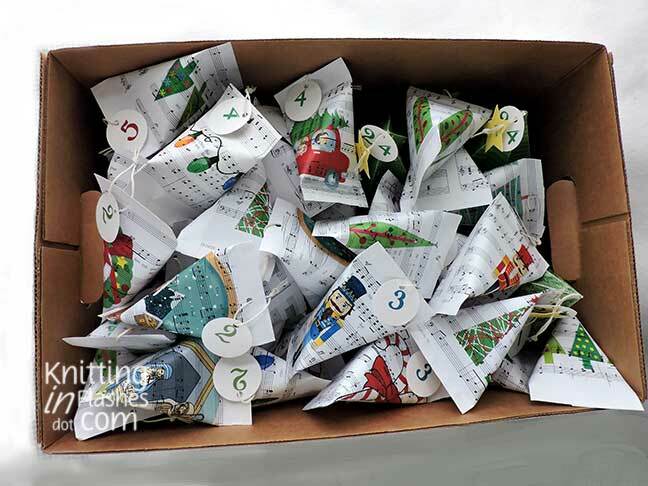 Do you have an Advent tradition? This entry was posted in Christmas, crafts, Family, grandkids, holiday and tagged advent, Christmas, crafts, family, grandchildren, holiday by Patti_is_knittinginflashes. Bookmark the permalink. I am the laziest person I know. I do nothing compared to you. You cook fabulous dinners, sew cute things, knit hard projects, reupholster chairs, ….I am embarrassed to be me. How lovely! My mom gives us advent calendars at thanksgiving, my only tradition is to open the door each morning!